One of the titles Krishna and I considered using for “Talking HR” when we were setting it up last Summer was “HR 2.0” and in this episode, we talk about what we and other people mean by this term. It’s clearly something to do with web 2.0 (which we discussed in episode 016). But there’s also a potential link with management 2.0 which is explained in Gary Hamel’s recent book. 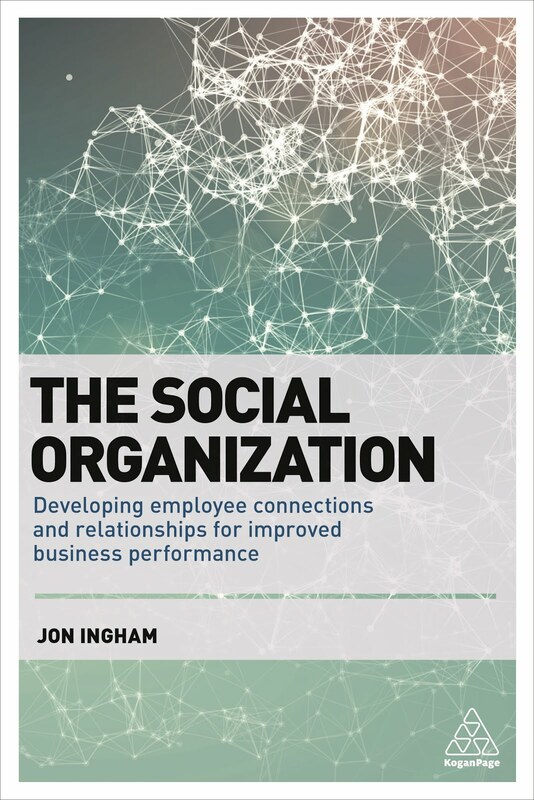 Referring back to his recent Bucharest presentation, Jon argues that the link is the social nature of the 2.0 tag (social media / more social management) and in fact, the differentiation between HR and HR 2.0 is the latter’s focus on producing social capital. We also hear from James Tastard, VP of Corporate HR at Aker Solutions in Houston, Texas, about his views on HR / management / web 2.0. Thanks enormously for your contribution James! Krishna also talks about the new hiring network, Worky. And Jon discusses recent CIPD findings on job satisfaction. And we review a new book, ‘Collaboration’. In my last post, I described a process for developing an HR 2.0 / social capital strategy. I thought, if you don’t mind too much, that I’d give you an outline of the sort of consulting I do within this area as well. Advising and supporting on change management requirements. I travel anywhere in the world (or use social media so I don’t have to), and you’d love working with me even more than you like reading this blog. I’m still learning about this area myself of course, but I think I know as much as I need to in order to help. And I do seriously believe that work in the HR 2.0 area can result in real, solid improvements in business results. Particularly in a recession when you’re looking to achieve the same or more (ie planning for the upturn while you’re still managing the down) with less people. So you need each person to be as effective as possible. But you need to manage the relationships and conversations (ie social capital!) between your people as well. Sunghwa Moon asked in his recent comment on this blog about what would be a ‘consulting methodology’ for HR 2.0. This is what I use, although I’d describe it as a process rather than a methodology, as I’d only ever use it as a guide and would be unlikely to ever follow this exact flow. And I’d see it as something that an organisation can use itself, rather than needing a consultant to support (albeit I believe that the right consultant would be extremely useful in advising and supporting on this). The process starts with identifying the required organisational capability, ie what sort of social, as well as human and organisational capital, is the business (or public sector organisation) trying to create? Based upon this required state, and a gap analysis of the current state, a strategy can be developed. This also needs to be aligned with (informed by, but also informing ie both adding and creating value) the business strategy. And because web 2.0 is likely to play a significant role in supporting the HR 2.0 strategy, I include the IT strategy here too. Because the HR 2.0 strategy is all about people, and people are different, I include a step here to think about the different talent groups or other segmentations that exist and need to be treated differently. At this point, a strategy map and scorecard can be developed to support the strategy, outlining the strategy’s objectives and measures, and how these relate across activity, outcome (ie social capital) and business results. Various measurement tools, for example social network analysis, may be required to support this stage as well. People. I believe any HR strategy needs to touch on the key people in an organisation, not just on the processes that support them. And I also advise that HR should have a hands-on role, not just a back-office one. I think these two points are particularly important under a HR 2.0 approach, and therefore suggest that the strategy identify the key people (perhaps those who are key to social connecting in the organisation, eg brokers, mavens etc) and what actions are going to be taken to provide direct support to these individuals? Organisation. What design changes in terms of structure, process etc would support the development of social capital in this organisation. Also, particularly importantly, what OD interventions can be made to directly impact on the way people are connecting with and building relationships with each other? HR and management processes. What changes need to be made to support a more open, collaborative approach? Web 2.0 and other technology. How should these processes be best enabled? What sort of tools would fit best? HR function capability and transformation. 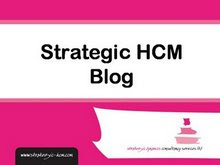 What internal changes within the HR (and learning, communication etc) function need to be made to ensure HR is able to effectively implement and support the new strategy? Role of the manager. This is often the biggest piece of this sort of project. How can management itself be redesigned to operate in a completely new and empowering way? Note that web 2.0 plays only a very small part of this process. I absolutely agree that this can be a huge enabler to the sort of changes that HR 2.0 will bring, but I believe HR 2.0 is much bigger than this as well.